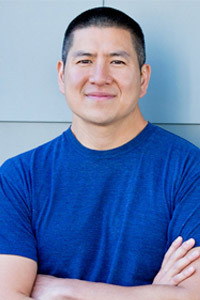 Eric Tang is an Associate Professor in the African and African Diaspora Studies Department and Director in the Center for Asian American Studies. He also holds a courtesy appointment in the Department of Sociology and serves as a faculty fellow with both the Institute for Urban Policy Research & Analysis and the Division of Diversity and Community Engagement. His first book, titled Unsettled: Cambodian Refugees in the NYC Hyperghetto (Temple University Press, 2015), is an ethnographic account of refugee life in some of New York City’s most impoverished and socially marginalized neighborhoods. A former community organizer, Tang has published several articles on race and urban social movements, including award-winning writing on post-Katrina New Orleans. He is at work on a second book, Fire In the Streets (Verso Books, 2018), which revisits the urban rebellions of the late-1960s. Locally, Tang’s research focuses on the past and present of racial segregation in Austin, Texas, paying particular attention the gentrification-driven displacements of the city’s longstanding African American residents. He co-authored the report “Outlier: The Case of Austin’s Declining African American population” which revealed that Austin was the only major growing city in the United States to experience an absolute numerical decline in African Americans. This interdisciplinary course introduces students to core questions regarding the historic and contemporary experiences of Asian Americans. Students will critically engage key issues, theories and debates in Asian American Studies, while also learning to unpack “Asian American” as a concept that contains an evershifting multiplicity of peoples, histories and places. A survey of seminal black studies texts and methods that have transformed the social sciences, humanities, and fine arts in producing a distinct black studies epistemology. Explores what black studies scholars have done to transform traditional methods and disciplines in pursuit of a distinct black studies methodology. The Global City is a term used to describe major urban centers such as New York City, London and Tokyo that function as headquarters for international finance, manufacturing and migration. Global cities are said to stand as clear evidence that we live in truly transnational times—a period in world history when national borders have given way to the free flow of capital and labor from one interconnected global city to the next. Based in New York City, this course challenges the supposed newness of the global city concept by revealing how America’s largest metropolis has been transnational since its very inception: from the conquest of indigenous land, to the city’s involvement in the US slave trade and plantation economy, to its central role in the industrial revolution, to its status as a destination point for migrants from around the world and, finally, to its emergence as the preeminent center of world finance. This course literally traces New York City’s history through first-hand visits to major landmarks and historic neighborhoods including African burial grounds, ports, factories, tenements, Harlem, el Barrio, Chinatown, Bed-Stuy (Brooklyn) and Jackson Heights (Queens)—to name but a few. Students will also have an opportunity to visit several of the city’s major museums and collections, to meet with community-based organizations and to attend a range of cultural events (music, film and theater). Through it all, the course will meet for class lectures on the history and politics of New York City. Course readings will draw from history, sociology, anthropology, geography, literature and film. Finally, the course will require each student to conduct independent research project in one of five issue areas: 1) Labor, 2) Immigration, 3) Gentrification, 4) Privatization of Public Space and 5) Poverty. Students will develop a research question in consultation with the instructor, and arrive at answer to that question through a combination of primary research (interviews and/or audio and visual documentation); archival research; secondary source research; and quantitative data collection. Research findings will be presented to the class during the final week of the course. The majority of readings will be available as pdf on Canvas. They are noted as such in the schedule below. This intensive summer course will meet for a total of eleven and a quarter hours per week over four weeks. Seven and a half hours a week will be spent in class (sessions will run 5 days a week, for one and a half hours each day). The remaining three and three-quarters hours of the week will be spent on site at one of several museums, collections or events. Internship in a community organization that facilitates the economic, political, and social development of Austin's African American community. Students participate in research projects under the supervision of a faculty member. How and when do cities burn? The modern US city has seen its share of urban unrest, typified by street protests (both organized and spontaneous), the destruction of private property, looting, and fires. Interpretations of urban unrest are varied: some describe it as aimless rioting, others as political insurrection. Most agree that the matter has something to do with the deepening of racism, poverty and violence. This course takes a closer look at the roots of urban unrest, exploring a range of origins: joblessness, state violence, white flight, the backlash against civil rights gains, new immigration and interracial strife. Urban unrest is often cast as an intractable struggle between black and white, yet this course examines the ways in which multiple racial groups have entered the fray. Beyond race and class, the course will also explore unrest as a mode of pushing the normative boundaries of gender and sexuality in public space. Course material will draw from film, literature, history, geography and anthropology. Racism preoccupies virtually every aspects of US society: culture, law, politics, economies. Yet US-basedscholars have offered surprisingly few comprehensive theories or definitions for what, exactly, racism entails and where it comes from. This course examines the few theories/definitions of racism across several fields: anthropology, sociology, psychology, cultural studies, postcolonial studies, gender/sexuality studies. During the second half of the course, we turn our attention to anti-racist activism, particularly within people of color and immigrant communities. How have these anti-racist efforts measured up to existing scholarly theories of racism? Or do they instead produce new theories and definitions of their own? (This is an upper division undergrad course). All assignments, including reflection paper and final, must be submitted as hard copy. Prerequisite: Upper-division standing, African and African Diaspora Studies 301, and consent of instructor. Designed to accommodate 35 or fewer students. Restricted enrollment; contact the department for permission to register for this class. Approximately eight hours of fieldwork a week to be arranged. This course surveys seminal Black Studies texts with the goal of elucidating methods that have transformed the social sciences, humanities, and fine arts through a Black Studies epistemology. The course explores how Black Studies scholars have revised traditional disciplinary methods in pursuit of new paradigms that might constitute an open and evolving Black Studies method. This course serves to enable students to decide what method to choose for the master's thesis and, eventually, the dissertation. Racism preoccupies virtually every aspects of US society: culture, law, politics, economies. Yet US-based scholars have offered surprisingly few comprehensive theories or definitions for what, exactly, racism entails and where it comes from. This course examines the few theories/definitions of racism across several fields: anthropology, sociology, psychology, cultural studies, postcolonial studies, gender/sexuality studies. During the second half of the course, we turn our attention to anti-racist activism, particularly within people of color and immigrant communities. How have these anti-racist efforts measured up to existing scholarly theories of racism? Or do they instead produce new theories and definitions of their own? (This is an upper division undergrad course). Requirements: Students are expected to complete the course readings and to arrive prepared for discussion on the readings. Students are expected to maintain regular attendance. Class assignments include one take-home essay (3-4 pages, typed and doubled spaced), an in-class midterm exam (identifications and short essay) and a final exam. Guidelines for all assignments, including the midterm and final exam, will be distributed thrpughout the course of the semester. Racism preoccupies virtually all aspects of US society: culture, law, politics, the economy. Yet US-based scholars have offered surprisingly few comprehensive theories or definitions for what, exactly, racism entails and where it comes from. In the U.S., racism is chalked up to common sense: We know it when we see it. This course digs a little deeper by examining theories/definitions of racism across a number of fields: anthropology sociology, psychology, cultural studies, postcolonial studies, gender/sexuality studies. During the second half of the course, we turn our attention to anti-racist activism, particularly within people of color and immigrant communities. How do these anti-racist efforts measure up to existing scholarly theories of racism? Required Texts: In addition to a Course Reader, the following texts are required Albert Memi, Racism Edward Said, Orientalism Himani Bannerji eds, Returning the Gaze: Essays on Racism, Feminism and Politics Laura Pulido: Black, Brown Yellow and Left: Radical Activism in Los Angeles Franz Fanon, Black Skins, White Masks Vijay Prashad, Everybody was Kung-Fu Fighting: Afro-Asian Connections and the Myth of Cultural Purity Michael Omi and Howard Winant, Racial Formation in the United States.